Use your library card to check out a Hotspot providing you with free, and mobile, internet access! The Public Library Albuquerque and Bernalillo County is very pleased to be working with T-Mobile to offer mobile Hotspots for check-out. The mobile Hotspots may be checked out at all Public Library locations. Customers must have a valid Public Library card. Hotspots may be checked out by adult cardholders with full access accounts, in good standing. Hotspots can be checked out for 3 weeks. Hotspots are not eligible for renewal. All components (Hotspot, charger, cord, and piece case) must be present upon return for the library to consider the item checked in. Instruction cards are included with the Hotspots. 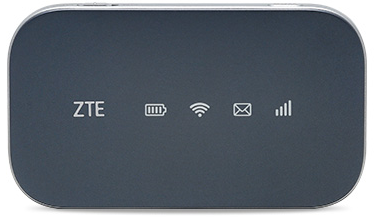 Replacement for the Hotspot is $120. Must be returned to a staff member at the Circulation Desk. Hotspot does not need to be plugged in to work. To turn on, slide the power button on side of hotspot to ON. If battery symbol turns green no charging is necessary, if red plug in hotspot to charge (green is fully charged). Make sure Wi-Fi is enabled on your laptop, tablet, or smart phone. Wait for the WiFi icon to turn blue. Once it is blue view the list of available wireless networks. Select the ABQ Library Hotspot network. Your device will display a message indicating it has connected to ABQLibrary Wi-Fi network. Borrowing and using the device is free! If the device is lost or damaged beyond repair, a $120 fee will be charged to your Library account.